The Spotify playlist “Making Waves featuring music from the Gulf Coast” shares some of the amazing music being made from New Orleans to the Florida panhandle. Have a listen while you read this article showcasing one of its songwriters! 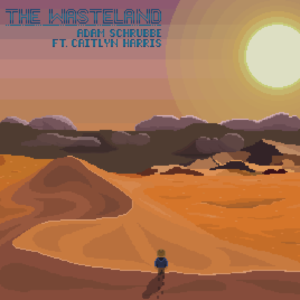 Today the spotlight is on Adam Schrubbe, an emerging artist whose song, The Wasteland, contributes a melodic introspective track infused with smooth vocals and accompanied by a delicious instrumental gumbo of jazz and r&b. Adam was born and raised in Fairhope, AL, where he began studying piano at age 9 and playing jazz at local restaurants by age 15. 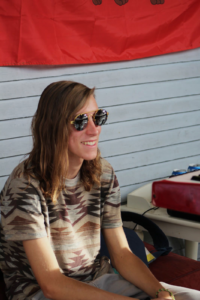 He moved to New Orleans to attend Loyola University majoring in Popular and Commercial Music and has continued to play in a variety of bands while developing his own sound as an artist and a singer. 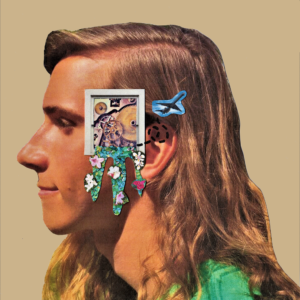 His debut album Analog Dreamer is set to release in summer 2018, and the lead single “The Wasteland” has been released on Spotify, Apple Music, and other streaming platforms. The album is a story of personal discovery told in a series of songs that draw from classical, jazz, hip-hop, electronic music, and movie and game soundtracks. Adam grew up in a musical family. His father is a drummer and his older sisters also played instruments. Adam took up piano and by high school he was performing in a local jazz band. Encouraged by his bandmates, he began writing his own music. He has drawn inspiration from many artists and styles, particularly pianist Brad Mehldau, the band Hiatus Kaiyote, and Stevie Wonder. Asked to define his style, Adam says, “My musical style is kind of all over the place, but for the album I’m working on right now, I’m sticking to a hip-hop/RnB sound. What’s great about hip-hop is that the whole genre is built on sampling other styles of music, which makes it really easy to incorporate my jazz upbringing or my love for video game soundtracks. Anything is fair game.” This lends a unique yet familiar feel to his debut single. The future is bright for Adam. With his first album in the works, his second single “Midnight in the City in the Sky” will be released soon. He describes it as “basically the sequel to The Wasteland, and it’s the closest thing to a pop song on the album”. “Another project I’m excited about is a band I’m forming with my friends and fellow Loyola students Marissa Cazalas and Marco Saah. Marissa is from Daphne, AL, but I didn’t actually meet her until college. She is a fantastic songwriter who can play just about every instrument. Marco is a drummer from the D.C. area who grooves like nobody’s business. He’s a producer as well, and he’s releasing a beat tape soon. We’re working on a name for the trio still, but we’ve started recording some songs already.” Stay tuned! 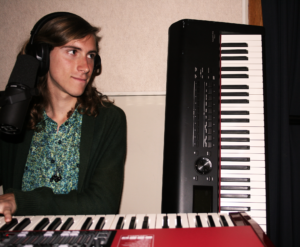 Taking full advantage of the summer “break” from Loyola, Adam has plans to build a home studio this summer. “… so we can start recording and producing our friends’ music. I have a lot of friends who are incredibly talented, but most of them don’t have any songs out online… this should give them an opportunity to release some high-quality records on a college-student budget.” Very cool, Adam. If you’re interested in seeing Adam play live, he will be playing improvised electronic music with his duo at the Dragon’s Den in New Orleans every Wednesday night (starting in June) from 10pm to 1am. Adam Schrubbe is definitely one to watch. Here’s how you can follow him.